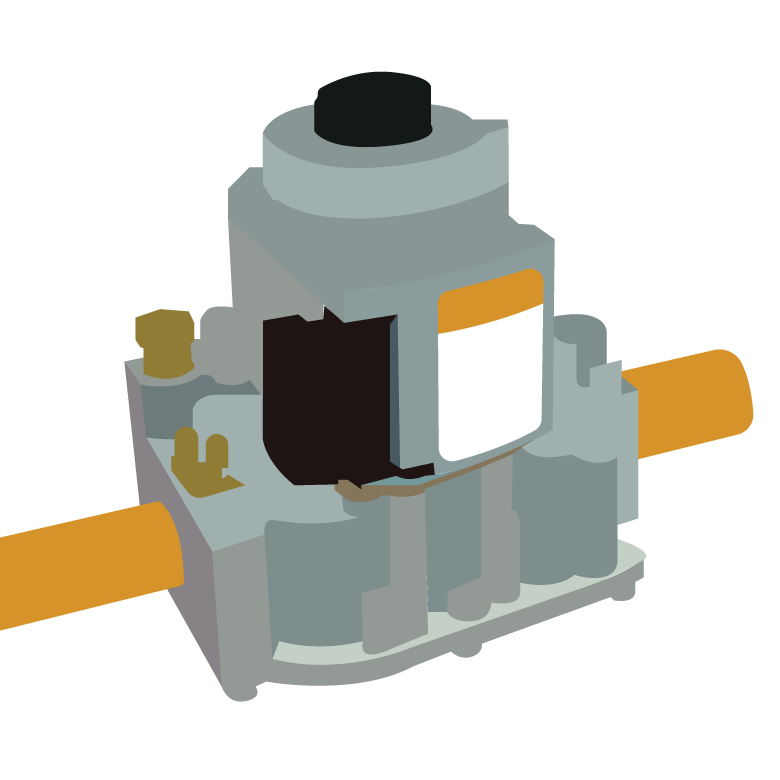 The contactor is a relay in a split heat pump or AC system that uses low voltage (typically 24VAC) power from the thermostat to switch on 230 VAC current to the compressor and condenser fan motor. If 24 VAC power is available to the contactor coil, and 230 VAC is being supplied to the outdoor unit, but the contactor is not closing than the contactor is likely at fault and should be replaced. Contactors fail for a number of reasons. They can wear-out with age. Failure can be caused by improper voltage or by operating at very high temperatures. 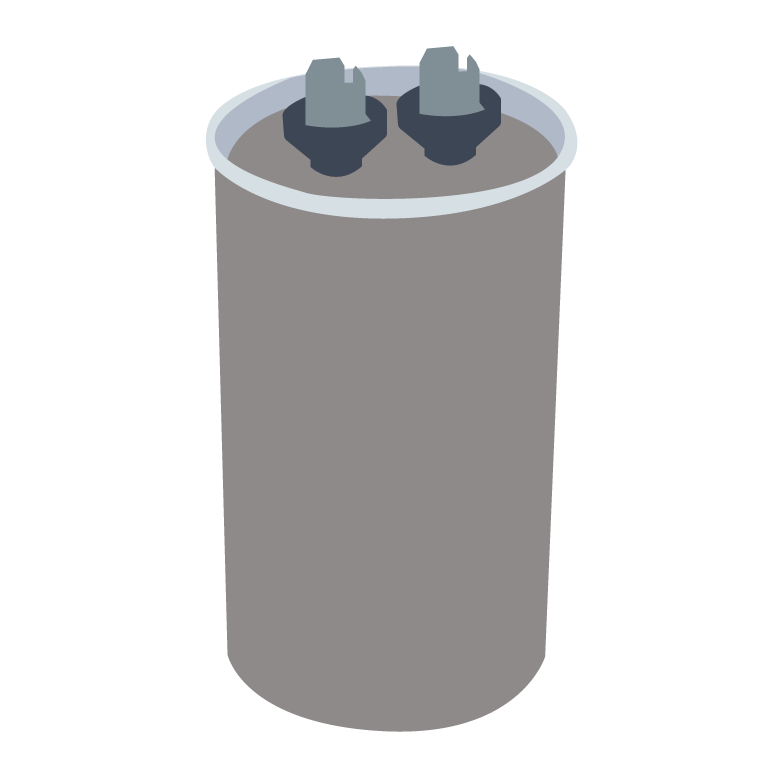 All AC units have at least one capacitor. Capacitors store electricity and release it during the startup of a compressor or fan motor to smooth out voltage fluctuations and prevent damage to the compressor or motor. Capacitors can fail slowly over time, or can fail in an instant. Often failed capacitors can show damage such as bulging top or sides, and discoloration of the capacitor connections. Condenser fans draw air through the coil in an outdoor unit and discharge the thermal energy outside the condenser. Without the condenser fan motor, thermal energy can not be discharged properly from the outdoor unit (in cooling operations) or absorbed (in heating operation for a heat pump). 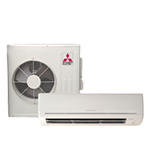 As a result the system capacity will be sharply reduced and it may result in the condenser locking out on safety. If the compressor is running but the condenser fan motor is not, it is likely the motor will need to be replaced. R22 and R410A: Refrigerants are chemicals that undergo phase transitions from a liquid to a gas and back again during AC or heat pump operation. This phase change during changes in pressure results in the refrigerants ability to efficiently move thermal energy. 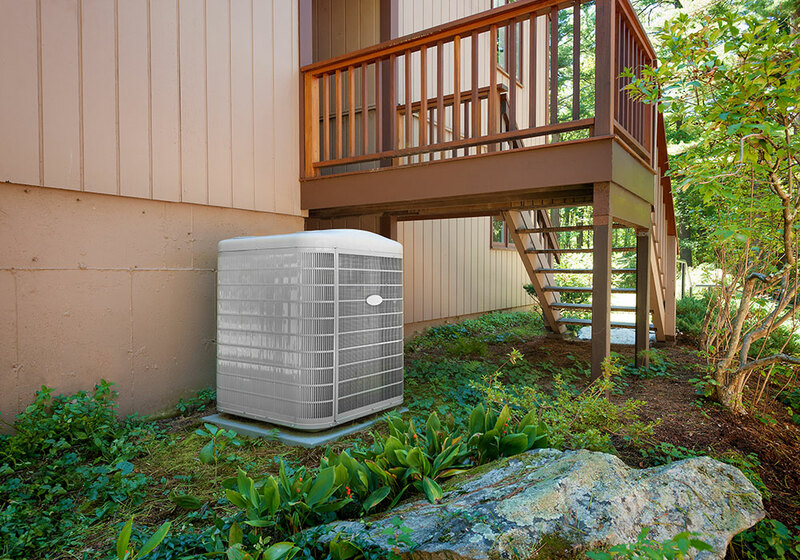 In older residential AC or heat pump systems, R-22 was typically used. R-22 is an HCFC (hydrochlorofluorocarbon) and has harmful effects on the climate. 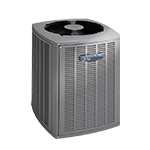 As a result newer residential AC or heat pump systems utilize R-410A. 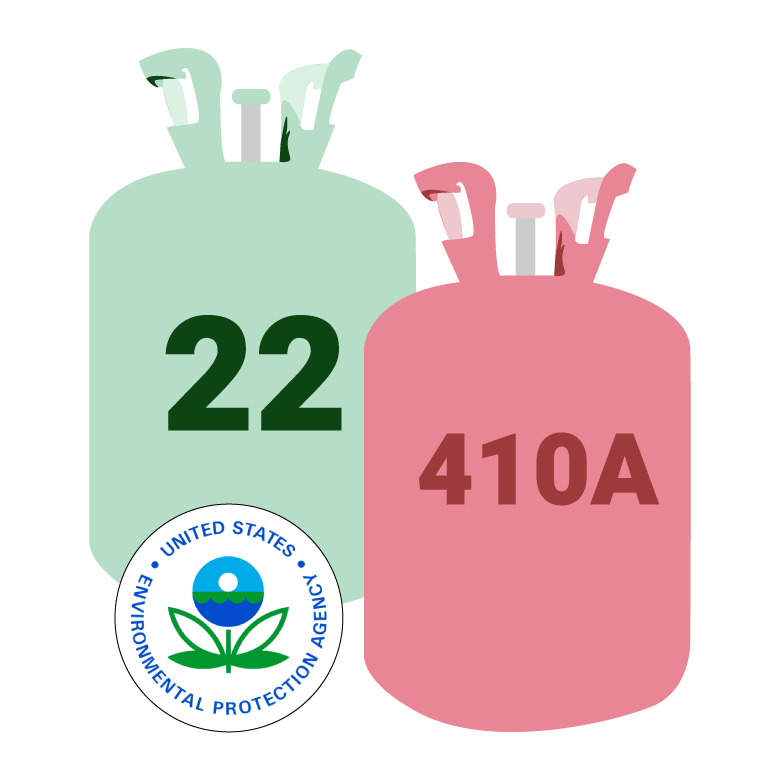 As an HFC (hydrofluorocarbon), R-410A is recognized by the US Environmental Protection Agency as a good substitute for R-22. R-410A does not contribute to atmospheric ozone depletion and results in systems with higher operating efficiencies. A primary component for an A/C or heat pump system, the compressor increases the pressure of vapor refrigerant, and in so doing increasing the temperature of the refrigerant. At this high temperature thermal energy can be transferred from the refrigerant to outdoor air in air conditioning, or to the living space in heat pump heating operation. Compressor failure can be caused a number of issues including lack of system maintenance, restrictions to refrigerant flow, voltage fluctuations, lightning strikes, oil migration, liquid slugging, or simply age. 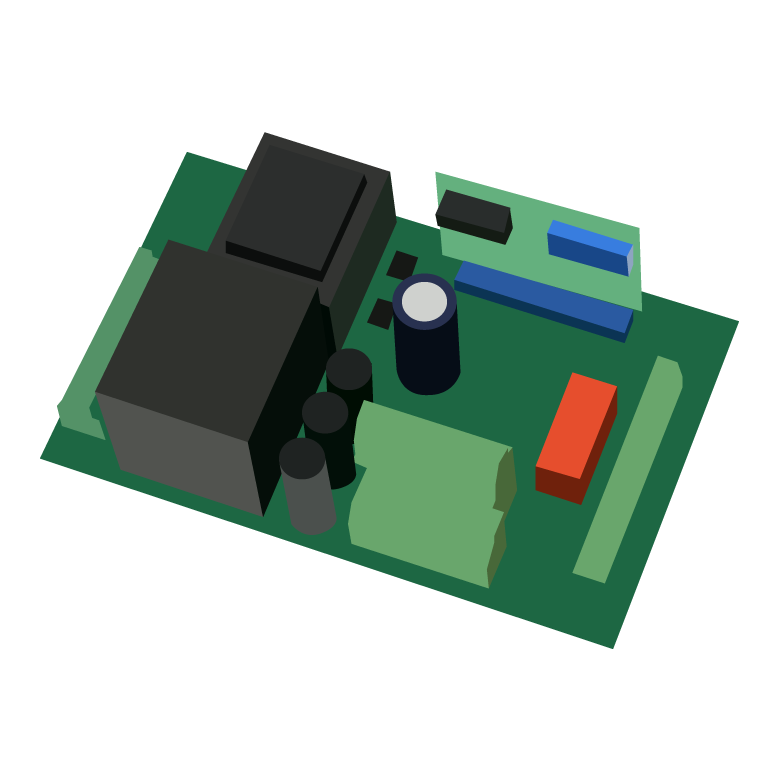 In the most modern and efficient AC and heat pump systems you’ll find a circuit board (PC board). The circuit board controls the sequence of events needed for proper operation of the condenser. Many PC boards also provide operating condition parameters and display past or current system errors that can be used to help ensure proper operation of the system. 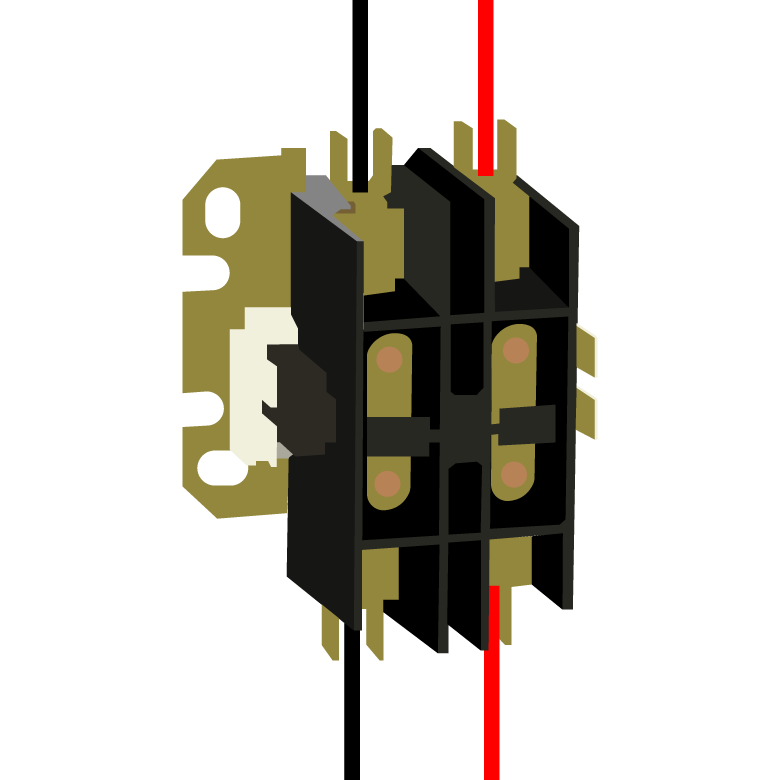 Almost all circuit boards operate on 24 VAC, but potentially also control systems with VDC, 120 VAC, and 230 VAC components. PC Boards are extremely reliable but failures can be caused by voltage spikes, malfunctions of downstream devices, or simply with age. 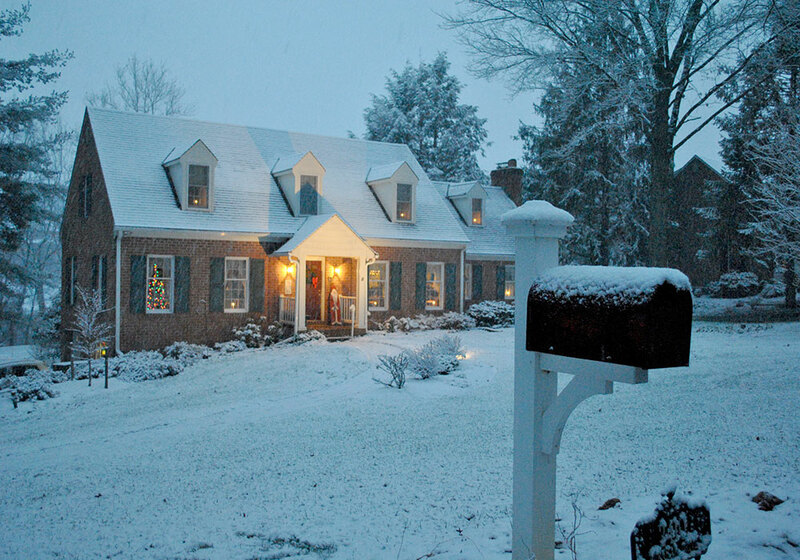 Whether you have an indoor furnace or air handler, a key component of your indoor equipment is the blower motor. 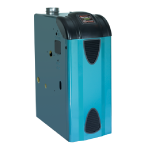 This motor drives the blower that draws indoor air across the AC or heat pump coil and then distributes this conditioned air through your ductwork to your living spaces. Most older systems, and more competitive current systems, have PSC, or permanent split capacitor motors. These motors typically operate at a single speed and are relatively inefficient. 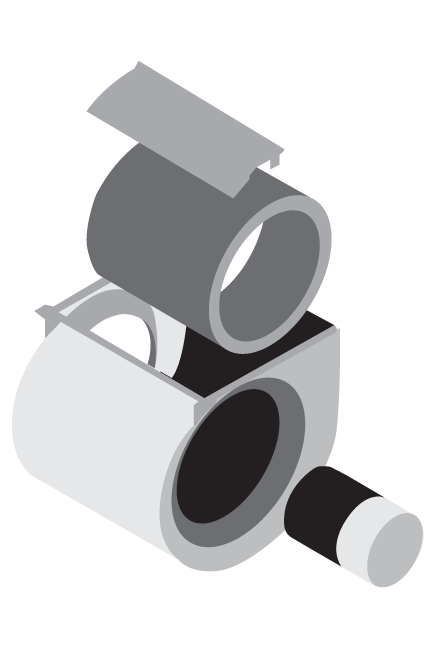 An option with newer systems is ECM, or electrically commutated, motors. 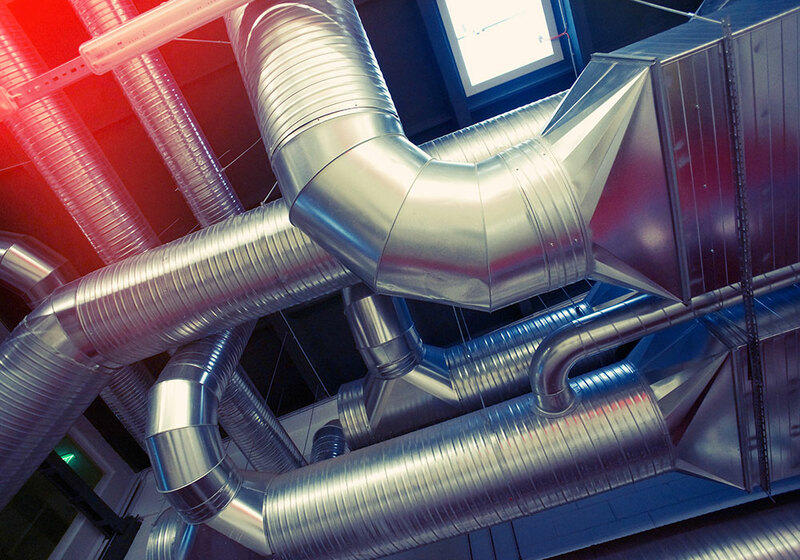 ECM motors save energy and operate over a range of air flows to improve indoor comfort. Blower motor failure can be the result of dirt accumulation, failed bearings, high amp draws or more. 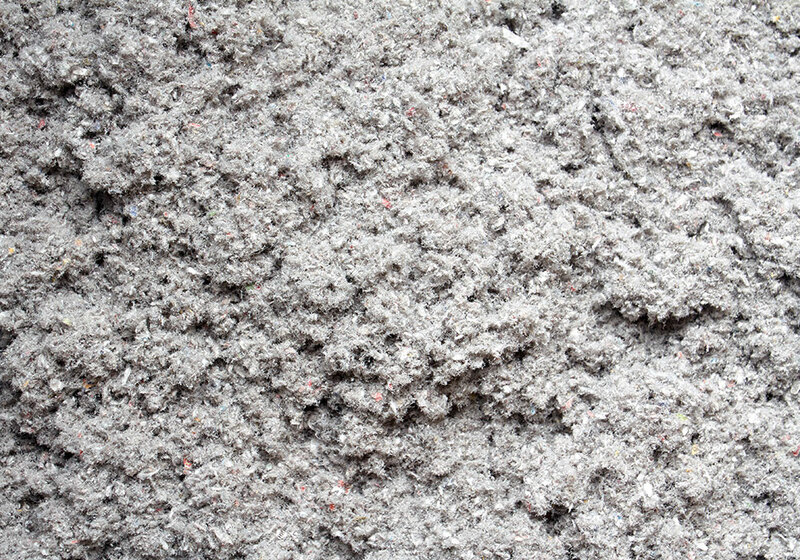 Certainly one thing to ensure is that your indoor air filtration system is properly maintained to prevent damage to the indoor blower motor. If the blower does not spin freely, or fails to come on with a call for heating or cooling the blower motor is a likely cause. 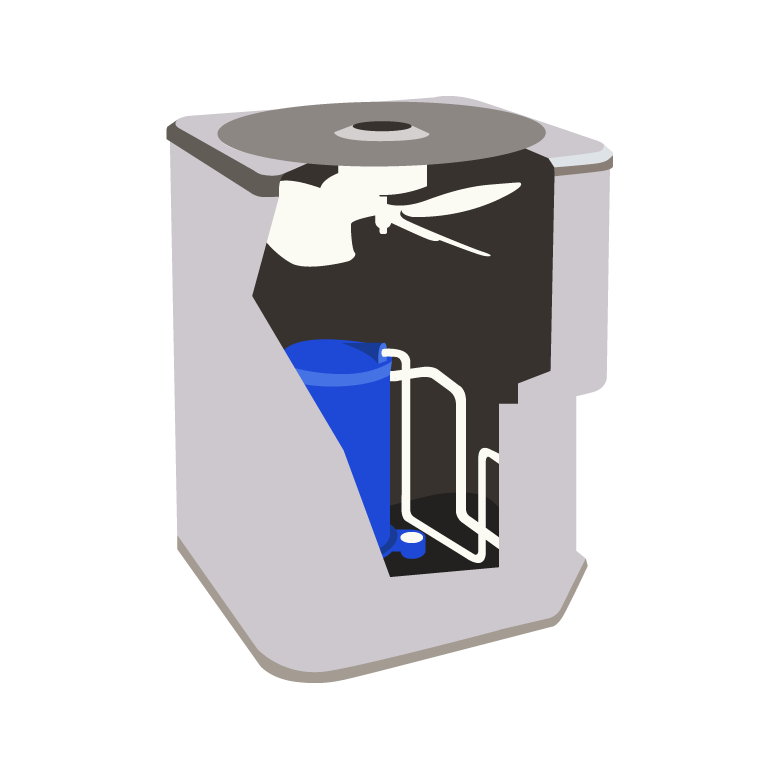 Gas valves are generally either millivolt systems (on water heaters and older equipment, or 24 VAC. In troubleshooting both types of system first ensure that gas is being supplied to the appliance. 24 VAC systems are on almost all modern heating appliances. 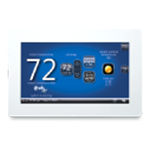 In this case the appliance control system, including the thermostat, furnace control, safety systems, and gas valve operate with 24 VAC. During a trial for ignition, if flame is not confirmed within a few seconds, the ignition attempt is terminated. 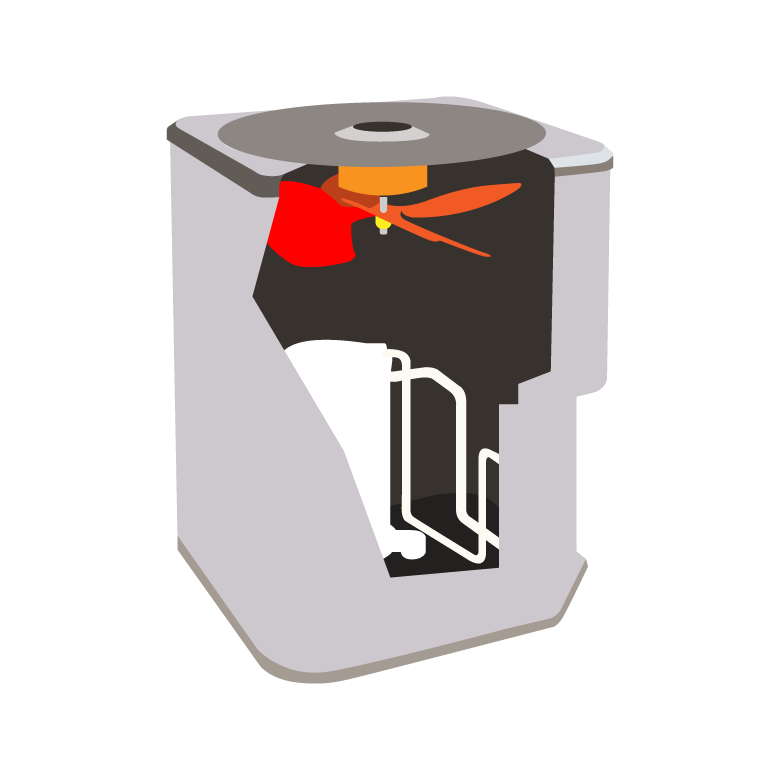 After several failed tries for ignition your heating appliance will lock-out for safety reasons. Causes of failures include voltage problems, improper gas supply or pressure, and problems with the flame proving circuit. Millivolt systems: This type of gas valve is opened by the small electromagnetic charge generated when a thermocouple is exposed to the pilot flame. Most often failures of this type of system have to do with thermocouple operations. Ignitors in a gas furnace light the main burners on a call for heat. Based on furnace age and technology there are several types of ignition systems. Older systems often utilize a standing pilot. This is a small flame that stays lit around the clock. Pilot systems do not require advanced electronics but are inefficient. Indirect pilots systems have an electronic spark system that lights a pilot light, which in turn, light the burners. On heating cycle completion the pilot turns off until the next call for heat. 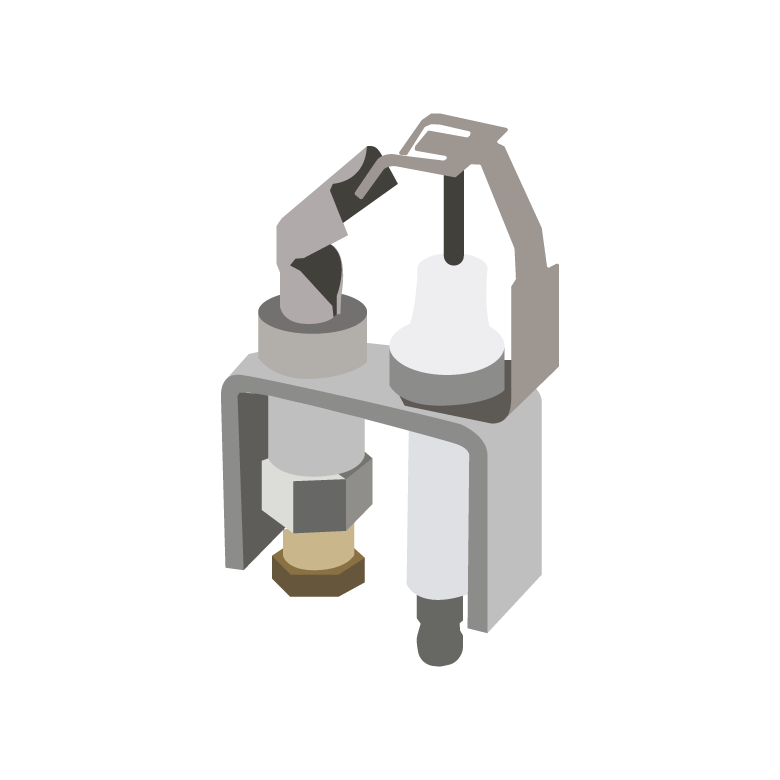 Direct Spark ignition: an ignitor is projected to the main burner path. On a call for heat a high voltage spark is created that arcs across a gap between the ignitor and a ground point. This is an efficient and reliable ignition system. Hot surface ignitors (HSI): typically a silicon carbide element projects into the burner path. On a call for heat the ignition control to send voltage to the ignitor and it heats to approximately 1800°F. The burner lights on gas contact with this high temperature element. HSI systems are quiet and efficient. Ignition problems are commonly caused by system grounding problems, improper gas pressure, or dirt or corrosion on the ignitors or burners. 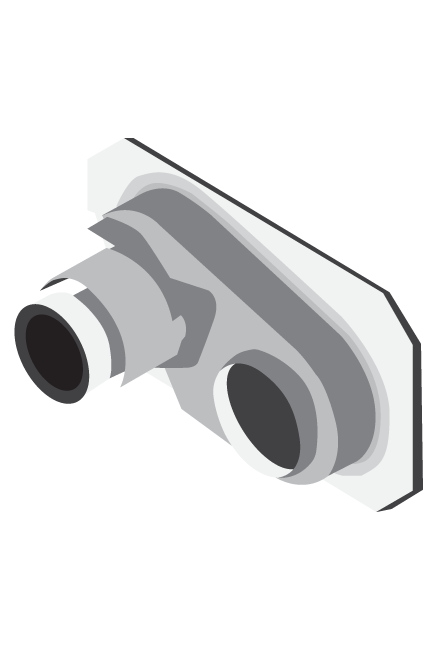 Flame sensors are found in modern furnaces and are typically an insulated metallic rod that sits in front of the flame stream on a gas furnace or boiler. It is there to confirm the presence of flame after the system gas valve opens. 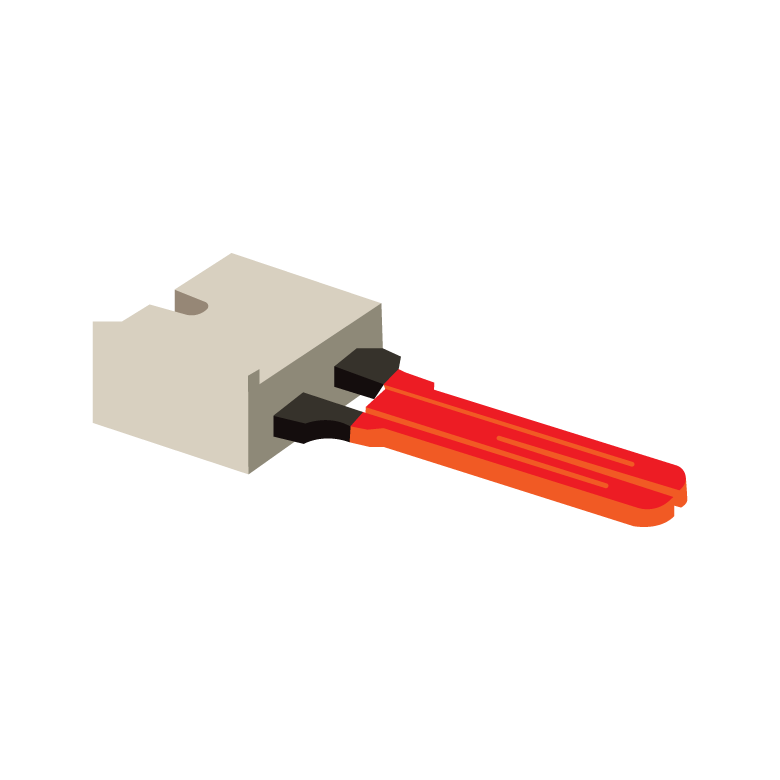 Using a principle called flame rectification, in the presence of proper flame, a 120 VAC input to the flame rod is converted to an extremely small but measurable current in VDC. 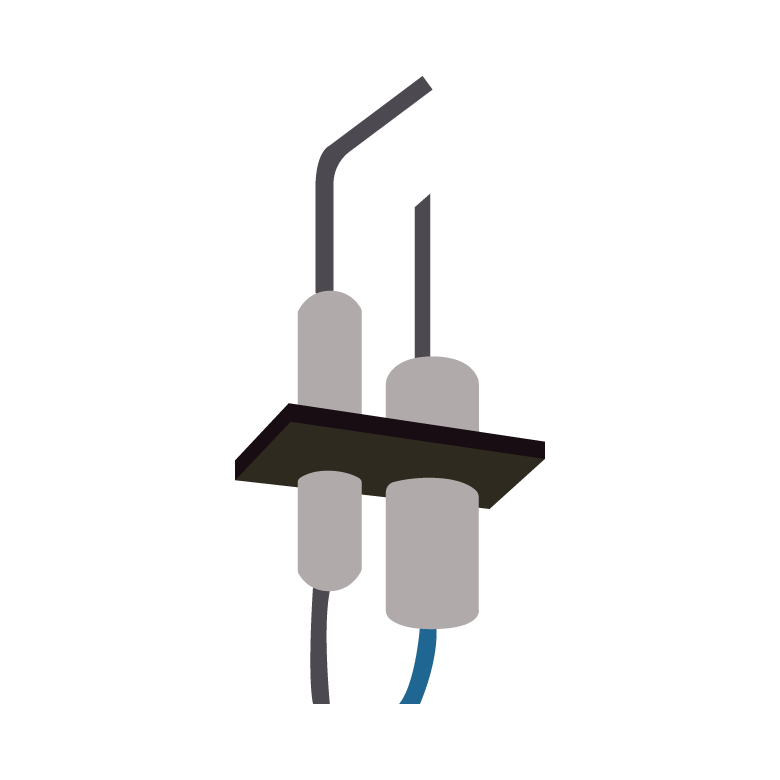 Flame sensors can fail either because they are dirty and require cleaning, or because the furnace is improperly grounded. 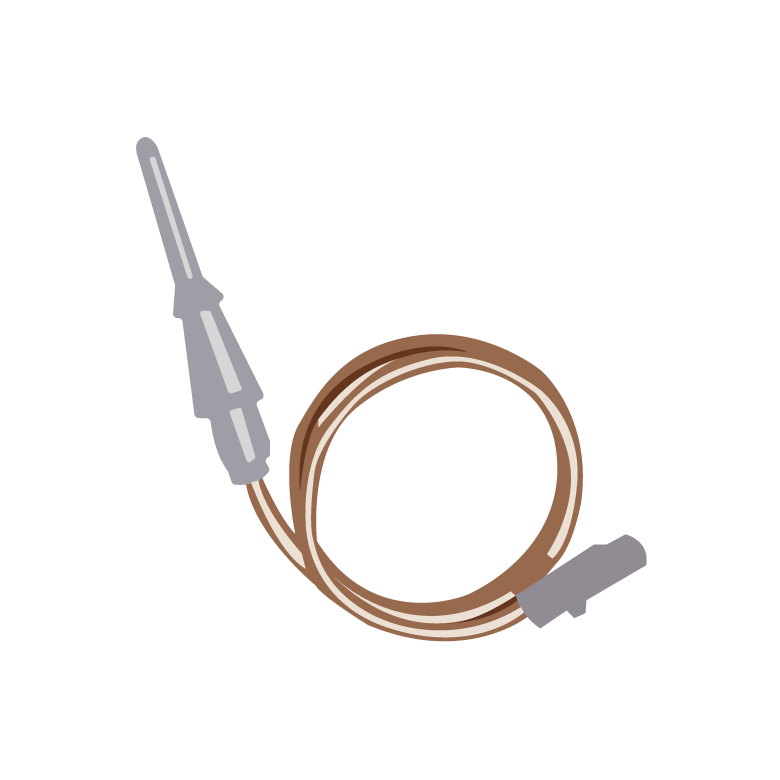 A thermocouple is generally found on older heating systems and many water heaters. Their primary function is to ensure that a flame is present after the gas valve has opened and to generate power that opens the gas valve. 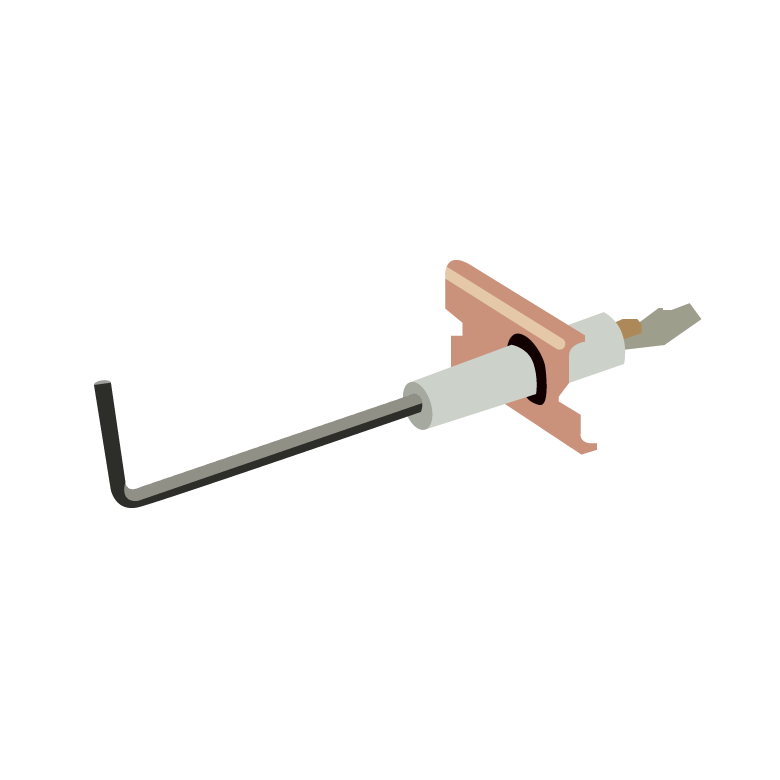 Thermocouples work by generating a small electrical current when heated, that is then confirmed by the gas control to maintain operation. Thermocouple failure can be caused by operation in temperatures that are too high, dirty conditions, improper gas pressures or poor combustion air. Inducers: (or draft inducers) are fan motor units designed to draw combustion air into a gas furnace or boiler to ensure proper combustion, and then vent the combustion products to the outside. PSC single-speed motor technology has been the standard in the industry for many years and represents the highest installed base. 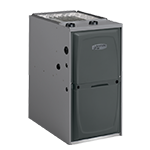 PSC motors are typically positioned by most manufacturers as a standard product offering and are used in 80% or higher gas furnaces. The popularity of the PSC motor can be attributed to its simplicity, reliability, low cost and flexibility. PSC motors generate excessive heat which greatly contributes to the relatively low operational efficiency of PSC motors (which are at best only 60% efficient). Two stage PSC inducers: are used on two stage or modulating gas furnaces. They are quieter when operating at lower speed than conventional single stage inducers. ECM variable speed inducers: Variable-speed motor technology can be compared to using a dimmer switch in lighting applications, meaning it is highly variable, making its precise performance ideal for a variety of advanced applications. Most manufacturers typically position an ECM 2.3 motor as a premium product offering and use the motors in modulating furnaces or boilers. ECM technology is based on a direct current (DC) design that is inherently more efficient (80%) and run cooler than alternating current PSC motor designs. ECM 2.3 variable-speed motors can run over a wide range of speeds. All furnaces with some form of electronic ignition also have PC boards. As with condensers the furnace PC board (which is sometimes called an ignition module) controls the sequence of events needed for proper operation the furnace gas train and blower systems. Most PC boards also provide operating condition parameters and display past or current system errors that can be used to help ensure proper operation of the system.